After a long time of coding and testing – Feeder is out for beta testing! Feeder is a RSS Reader on steroids! It lets you subscribe to your favorite news sites/blogs. Choose sites/topics that you want to get notification upon update. Browse articles by topic or by site, and many more features to come. All of which – in a nice beautiful and fast user experience. The app is currently available only in Beta download using the Play store. In order to join the Beta stage you most join the Beta testers community on G+. After you do that, you use this link to opt-in as a tester and then you can download the app from it’s Play store page. In the near future (I hope), when the app will be ‘baked’ to leave the beta stage and release to the general public users the beta program will continue and will get many updates and features for testing long before they get to all users. As for beta version, you can expect bugs, crashes and all sorts of nice (?!) issues. This is what the beta is for. When you encounter a bug, please report back using the community page/In-app feedback/email or using any other media you can thing of. Instant Video is out to the Play store. Instant Video is a remake of the app QuickVideo that was previously released. It is basically the same app with a lot of under the hood improvements. 1. Faster load time – Recording now start a bit faster. 2. Silenced the “beep” sound of the camera shutter that was sneaking into the video in some devices. 3. Added support for more devices. Including tablets. 6. A lot of bug fixes. As always, suggestions, problems, feedback and such are always welcome. Finished developing the MyAlbum for Facebook Pro version and it’s now live and kicking at the Google Play store. 2. Using the pro version, the ability to tag your friends in the photos you upload is enabled. To tell the truth, when I first wrote MyAlbum for Facebook I did it for myself. I needed a way to Upload/Download blocks of photos to and from Facebook and the official Facebook app just wasn’t enough. It was also the time when I first started developing for the Android platform, so one thing lead to another and MyAlbum was born. By now I realize I wasnt the only one with these needs. As for the time I am writing this post, MyAlbum was downloaded 146,804 times and collected 2106 Market reviews with an average score of 4.4 stars (out of 5). 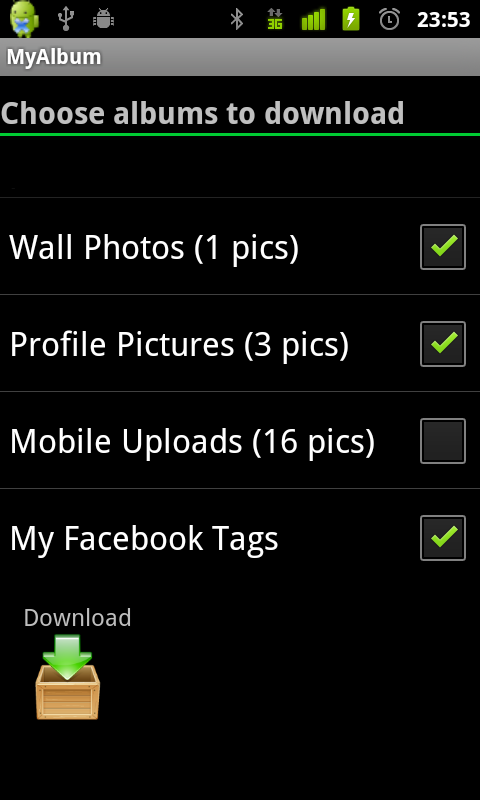 Number one app in the Android market for Uploading/Downloading Facebook photos. 1. Users uploaded and shared 727,078 photos. 2. The 727,078 photos shared awarded of an average of 30 feedback each (comments and likes per photo). 3. Each day there are an average of 1,100 comments and 7,700 likes for photos shared by MyAlbum. 4. Users has generated a total of 2,863,336 API calls to Facebook servers. 5. Each day, an average of 1080 new users install MyAlbum on their Android device. It’s nice to know the app helps so many users in their daily social sharing activities ! As always, you are welcome to mail me with any suggestions, comments and ideas. After developing all of my apps under my own name at the Android Market, as I changed my working status, from now on I’ll be working under the brand name called Sourcejam. Sourcejam can be found on Sourcejam.com (of curse). The reason for the change is that from now on I will be working on some private apps I have always wanted to develop and I’ll need some help doing it. If it’s servers hosting, IT, Design, etc.. So i figured, why not just get a nice brand name that will be the roof for all of mine and my partners projects? And this is how Sourcejam was born. The Sourcejam site is still under development but Sourcejam’s first project is up and published on the Android Market. It’s called – StreamLife. StreamLife is a social aggregator for Android that combines number of social streams into one. Facebook, Twitter and the phone call log (for now.. soon more sources will be added). 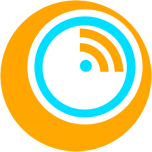 Go ahead and visit the app page on the market to get the full picture, here. After a lot of years working as an employee in various companies I am off to a new start as a self-employed developer. Over time I came up with a lot of ideas for new apps to develop and I have never had the time to take it one step further. Now as a self-employed developer I am hoping to get things done and take all of these ideas and act on them. While there are a lot of things I want to work on I am convinced there will be a lot of dead work-time that I’ll need to fill somehow. So, besides the fact that there will be some new apps in the near future and some updates to the current apps I have neglected over time, I am looking for interesting projects I can take part in. After a while not posting any new apps/services, I am pleased to announce the latest service I am a part of. With Lru.it you can take any Long-ugly URL and turn it into a short-beautiful and easy to use and share link. All you have to do it paste the long link to the main text box on the site home page and click “shorten.it”. The shorten permanent link will replace the long link placed in the text box. All there is left to do is paste it on and share it. 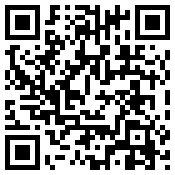 With every short URL generated there will be also a matching QR Code. You can save the image and share it as you wish. 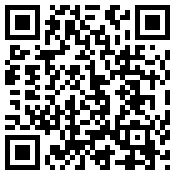 Scanning the QR code will direct the scanner to the original link. About the twist… Check out the Text.it button on the main page. It will send you to a page with a rich text editor. There, you can write any message you like, style it, color it and so on, then click Save.it. The site will save the message with all it’s style and give you a short link in return (like the main Lru.it service). Following that link will direct the user to a page containing the content that was saved. So… from now on, when you have a long message to paste to someone you know a new cool way to do so. As always, feedback’s are always welcomed. My Latest app was release to the market today. 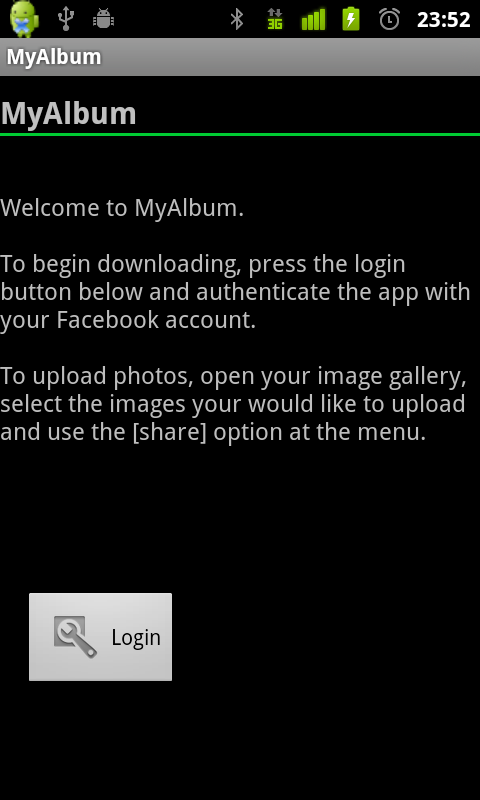 With MyAlbum you can download your Facebook albums to your Android device in seconds. It is based on the Facebook album sync app engine (This time the name is not containing the word Facebook and hopefully will not get banned). Added to the engine is the ability to batch upload pictures to Facebook. As the official Facebook app lets you upload one picture at a time, with MyAlbum you can upload as many as you want in a single easy upload procedure. Just open your image gallery and choose the pictures you want to upload, press share and choose MyAlbum app. Downloading albums is the same as it was in Facebook album sync. Just choose the albums you want to download and get them ! All features are open (even downloading tagged pictures of you). Free app and no ads. Responses and feedback are always welcomed, email me or leave a comment. It’s been a while since quick video was published and I can’t seem to find any good idea for my next app. Thought about some but nothing was interesting enough to get me back in business. Most of my ideas involved Facebook communication and tools, but after the Facebook album sync app experience I avoid writing anything remotely connected to Facebook. Hoping my brain will get some good ideas soon. In the meantime, if you got some features you are missing while using your phone, if something is not working well and needs a replacement, you are more then welcome to suggest them. Email me or post a comment below and maybe we can bring something helpful to the Android community. As I said in my last post, the new app I’ve been working on is out on the market and called: QuickVideo. The motivation for writing this app came after many video capturing moments passed by me and left undocumented due to the time it took me to reach to my camera. After so many missed moments I have decided to write a little app that will help me get in “recording mode” very fast and easy. The idea was an app that will sit on my home screen and be accessible, fast and reliable. QuickVideo is a small app to install and have a link to on the home screen. A second (or less) from the moment of touching it’s icon, your android will start recording a video of whatever in front of it. To stop the video recoding, simply touch the screen – The most important mission accomplished and the video is now saved and secured on the phone SD card. 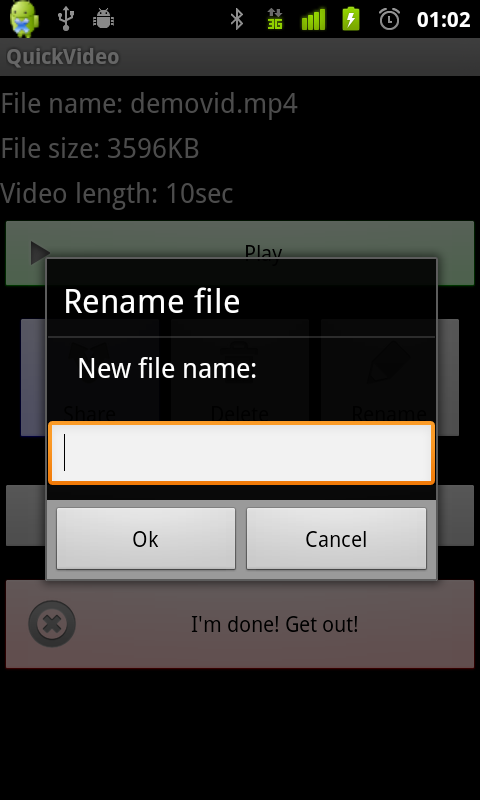 After stopping the recording an options screen will pop out giving the ability to: play the video, rename it, delete it, share it or just go ahead and exit (until the next QuickVideo). This is really a small and easy app that helped me fill a little gap in the media sector of my Android. I am always looking for ways to improve my apps, if you got some ideas/requests you are welcome to leave a comment or email me.